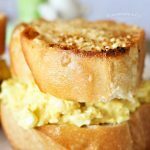 Easy egg salad recipe paired with buttery garlic bread slices makes these Egg Salad Sliders AH-MAZ-ING. 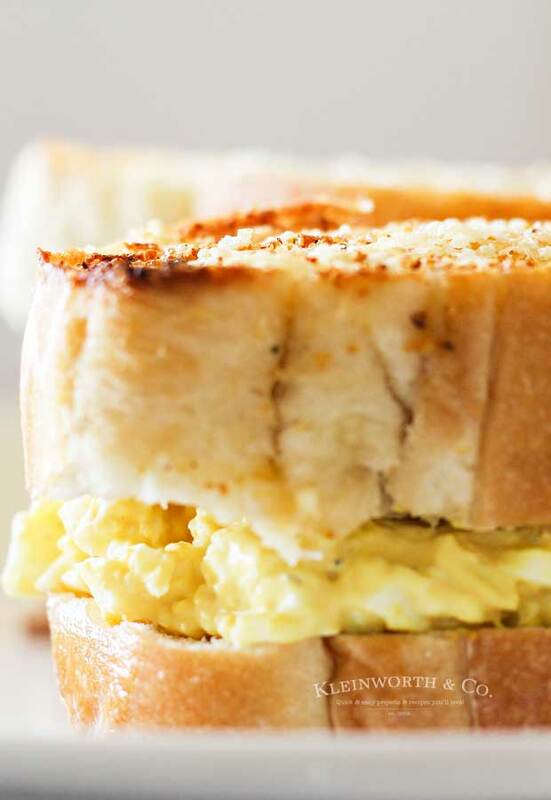 You’ll never want a regular egg salad sandwich again. 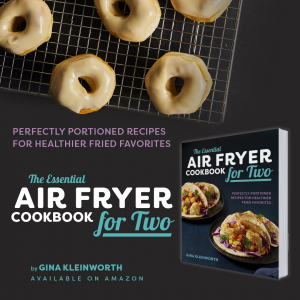 Our family really looks forward to this time of year because a lot of our all-time favorite family recipes happen in spring. 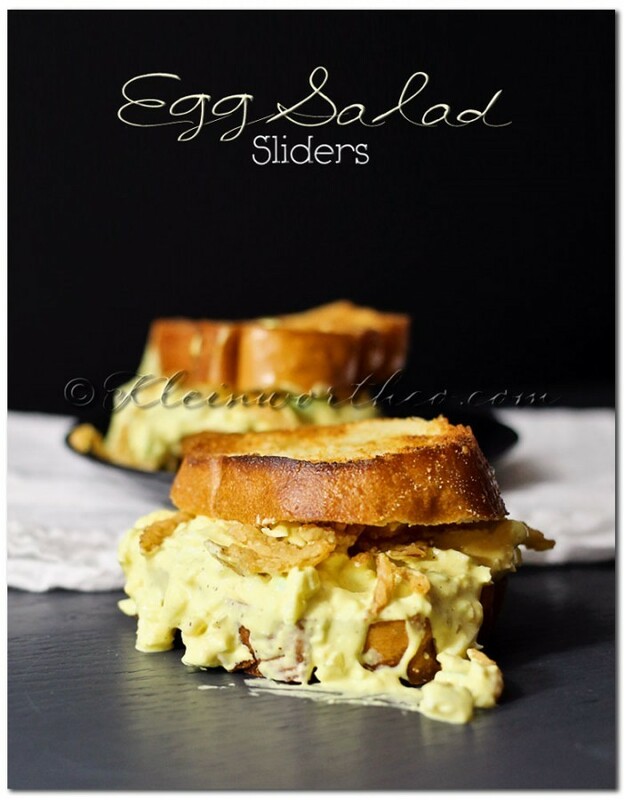 So, I wanted to share with you our Egg Salad Sliders just in time for Easter. (It’s right around the corner.) 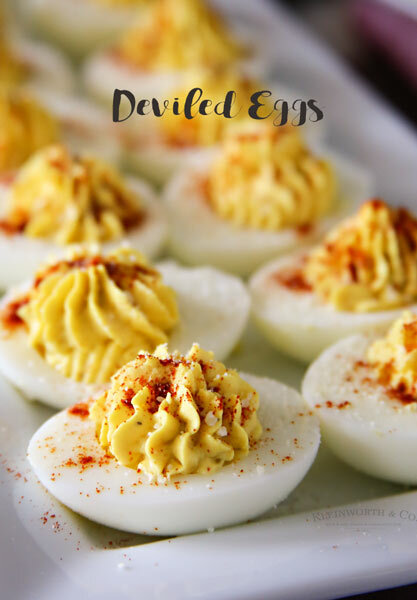 This is the perfect recipe to use up those hard boiled eggs from the holiday. Like most holidays we keep things low key for the menu. I don’t want to spend my holiday in the kitchen cooking or cleaning. So for Easter, we make quick & simple egg salad. Last year we decided to take the traditional egg salad sandwich & make it into a grilled (oh so sinful) slider & OMG they are SO GOOD!!!! We make these sandwiches every single Easter holiday & save the ham for Christmas time. 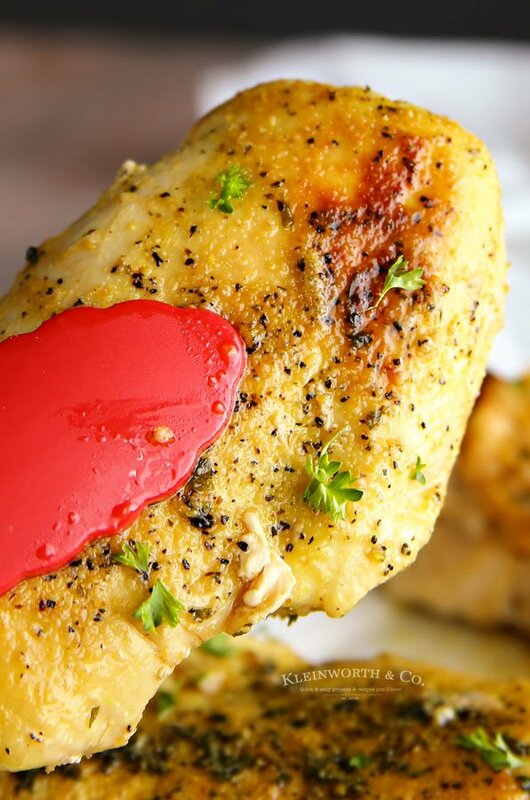 Easy & delicious! That’s it- it’s so simple. You see why we have it for our Easter meal. What griddle do you use for this recipe? You can get great results from a fairly inexpensive one. For an appliance like a griddle, that you aren’t going to use as often, I like to keep it around $25. I picked up this one that has served us well for many years. We use it for pancakes, hashbrowns, french toast and all of our grilled sandwiches. If properly refrigerated, this recipe will keep for up to 4 days. 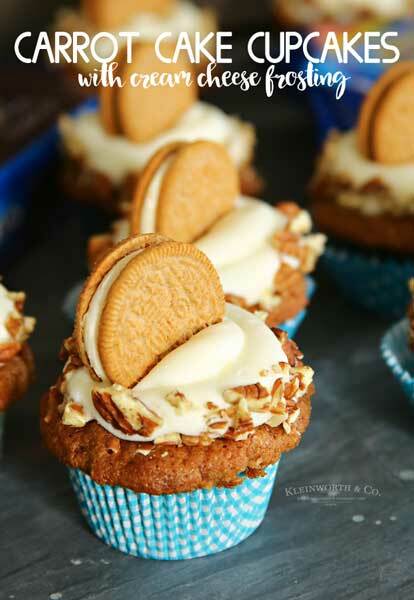 We rarely have any left over by that time unless we happen to make a double batch or something like that. But it is just as good on day 4 as it is on day 1. Enjoy! HOW DO YOU MAKE Egg Salad Sliders? Put the eggs & all the egg salad ingredients in a large bowl & mix with fork. Mash & break up the eggs as you go. When all the ingredients are combined & no large chunks remain- refrigerate to firm up while you are preparing the bread. Brush melted butter on one side of bread. Using a large skillet or griddle heated to 350 degrees- place butter side down & allow to crisp up until golden brown. Brush the top side with butter & flip. Cook until slightly toasted. When you pull off the heat sprinkle with garlic powder & Parmesan cheese. 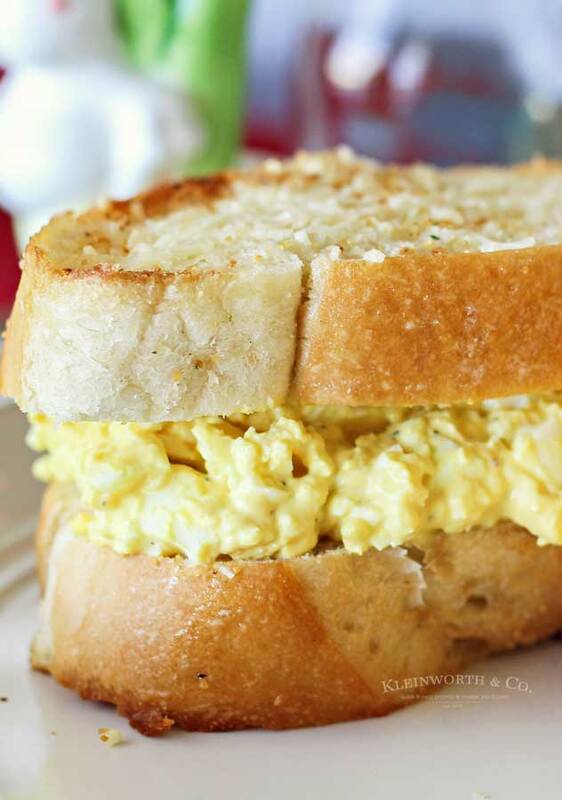 Add your egg salad to your bread- grab a few napkins & enjoy! Combine the eggs & all the egg mix ingredients in a large bowl & mix with a fork. Mash & break up the eggs as you go. Once fully combined & no large chunks remain, refrigerate to firm up while you are preparing the bread. Using a large skillet or griddle heated to 350 degrees- place butter side down & allow to cook until golden brown. I’m loving the whole slider craze, and these sound delicious, Gina! I don’t think I have ever had a slider! I do love egg salad though! Great idea! There is always a need to use up the eggs! Perfect meal. 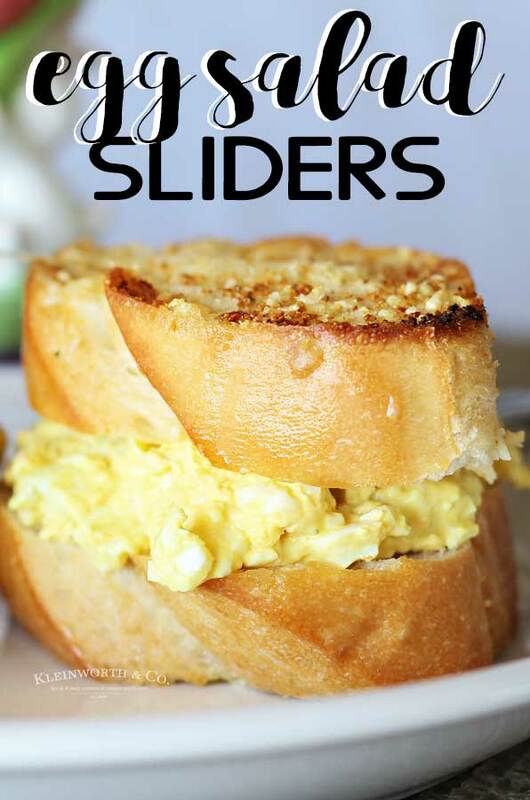 The egg salad sliders looks absolutely delicious! Well you captured two of our favorites together…my husband loves sliders anything and I am a lover of egg salad…what a great match this will be. Thanks! Perfect timing for this post. My daughter just asked me the other day when I was going to make egg salad again. Easter is the perfect time for sure. What a fun party! So many great ideas to share. I love egg salad. 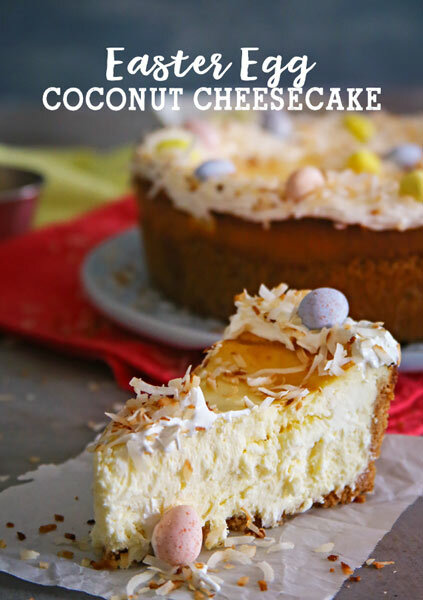 That’s a perfect Easter recipe!! 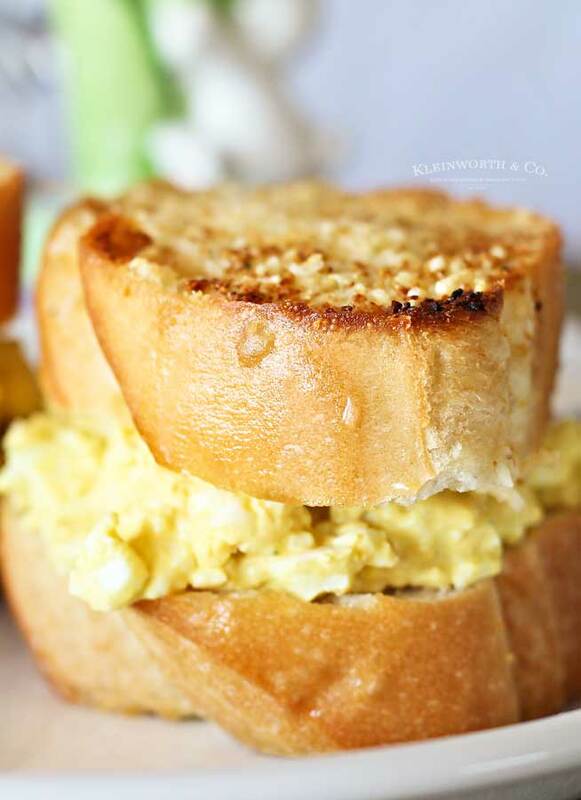 Oh what a great recipe, garlic, who knew – I love egg salad and can’t wait to try these!! Thanks so much for hosting. I finally made it over. Thanks for the invite. Have a great week. Yum! I could go for some egg salad right now! Add in some lemonade and call it good!